James Keenan stared playing football at 9 years old with the Bell Warriors. 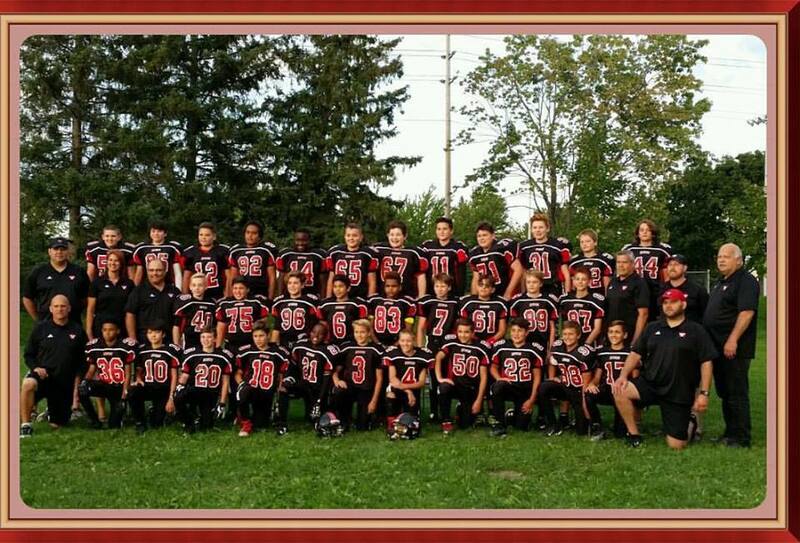 The Warriors Football program is a long standing organization in the west end of Ottawa providing tackle, touch and flag football programs for children 7 - 15 years old. Like many kids, James was an athletic player and started playing Quarterback from day one. In his second season, the coaches moved James to the defensive secondary where he won a major award with the team. James, although having success on the defensive side of the ball, knew that he identified as a Quarterback and set his mind on competing and winning the position back at the Mosquito level as a second year kid. James says he benefited from watching his older brother Charlie as far back as he can remember. Charlie was also a Warrior great - a few years ahead of James and a running back by trade. "Before I was old enough to play, James says, I would attended all of Charlie's games and cheer him on". Recently, James committed to play University Football with The Queens Golden Gales. With already six Quarterbacks on the roster (not including himself and others entering the program in 2018) competition will be fierce for the Stittsville pivot. 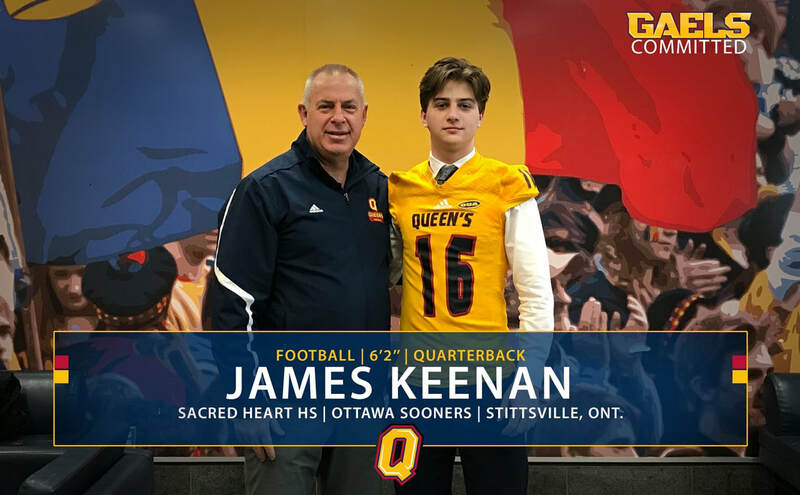 When asked about his personal goals as a freshmen, James preferred to talk about the Championship atmospheres he has been apart of with the Ottawa Myers Riders (OVFL), Bell Warriors (NCAFA) and Ottawa Sooners (OPFL) over the years. "I plan on competing for a starting position, and do the best I can every practice and every day. However, when a team has the ability to fight for the top spot, it's the friendships and memories that last forever and more than anything I hope to help bring that atmosphere to Queens". The humble approach might play well with his new teammates, however, after a 4-4 season in 2017 and the recent recruiting advantages that come with the unveiling of a world class stadium; Queens is hoping to be anything but humble in the coming years. Time will only tell if James will join the long list of legendary Queens Quarterbacks such as; Tommy Denison, Danny Brannagan and Beau Howes. Aside from Football, James plans on keeping his options open with interest in studying Economics, Political Science and History. ​WHO DO YOU THINK WILL BE THE NEXT OTTAWA QUARTERBACK TO MAKE THE JUMP TO U SPORTS? Dan Sauve is the Head Coach and General Manager of the newly relocated CCHL Rockland Nationals Jr A hockey club. Growing up, Dan was all hockey! From the age of three he started skating and played competitively in the Cumberland system, and In the summer months played AAA with travelling teams. Dan adds, " I played several others sports in a more casual way like tennis, golf and squash. After a short stint in major junior with the Gatineau Olympiques, I decided to return to the Jr A ranks and focus on school. Once I finished Junior hockey, I played a year semi-pro but quickly realized that I wanted to keep studying and pursue other goals". When asked what made him pursue coaching he says, "Without a doubt my passion for the sport. Hockey is ingrained in me as a daily ritual. When I quit playing at the age of 21, I knew that I was going to miss going to the rink everyday so I volunteered with the Ottawa Jr Senators as they were right in my backyard and they were looking for a video coach. I always believed that I would one day be a better coach than player because I feel that I undersand the game at a higher level than my own playing ability could get me. The transition to coaching seemed to be a no-brainer as I want to help kids understand the art of hockey. I want to help kids break down in-game situations in order to help them make better decisions on the ice". Dan says it's difficult to say what he likes about coaching Hockey the most. "There are so many parts of coaching that I am passionate about. I would have to say that my favourite part of coaching is seeing the day-to-day progression of players that are really eager to learn and to improve their game. There is nothing more satisfying than working with a player or a group of players and seeing them develop under your very nose. Seeing players ask questions, incorporating new elements into their game, getting outside their comfort zone, improving on their bad habits, buying in and being open-minded… those are the day-to-day things that make coaching the best job in the world. Dan reminisces on one of his most rewarding moments as a coach, and describes the first game that was played in Gloucester last season after the team was sold. "It was my first game as a Head Coach and we had only practiced once. The feeling and the energy the players showed that night will be something I will never forget. The team had only one win in their first 10 games before that night and we ended up winning that first game against a very good opponent. It was a win that was fully attributed to raw emotion, passion for the game of hockey, and a rejuvenated moral. Seeing the look on those players faces and knowing that things were turning around is what made it rewarding for me. It motivated me to put in the work all season long because I didn’t want to let this group down. Coaching is full of rewarding moments as long as you take the time to recognize them". 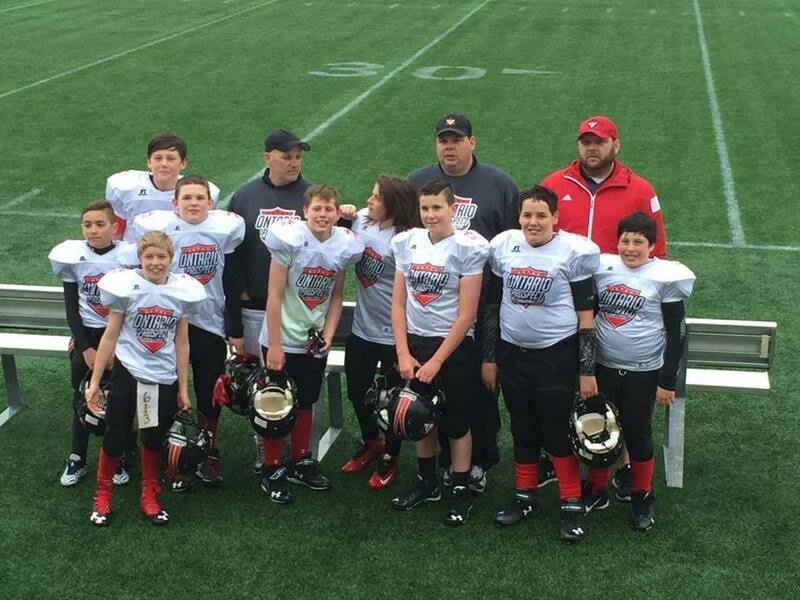 ​One of Dan's toughest challenges so far in his short-lived career as the head coach of the Rockland Nationals was starting the season without any support staff. 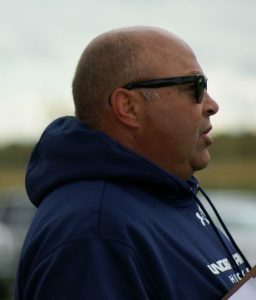 New owners bought the Rockland Nationals in early October and that’s when Dan was offered the opportunity to be a head coach of the team. "When I first started, Dan explains, I was the only person on the entire coaching or scouting staff. This was a big change from my previous coaching experience and it was quite difficult for one person to provide the proper coaching to 23 players. It just can’t be done, no matter how good of a coach you think you may be. Kids need attention, they need feedback, they need discipline, they need someone to guide them. Having a quality support staff in essential to running a great program. In order to overcome these obstacles, Dan had to put a lot of hours in at the rink, but his objective was to take his time with selecting the staff and make sure he had the right people in place. "It was important for me to surround myself with the right type of people instead of panicking and hiring just about anyone who showed interest. It was a tough first month and I had lots of help from good friends in the hockey community as well as our U18 coaches who all lent a hand for practices and games. Dan and the Rockland Nationals ended up hiring an assistant coach in early November and another in December. The rest is history. By the time the Nationals entered the 2017 Training Camp in Rockland, the staff was comprised of over a dozen coaches and scouts and continued adding new staff members throughout the summer. ​Like other sports, Hockey teaches many lessons that can be applied to other aspects of ones life. Through coaching, Dan explains, he's learned that winning and succeeding is a result and not an objective. There are many terrific coaches and great teams out there that never get the chance to win. Only one team can win every year. It is usually a combination of several things that make a team win and, unfortunately, luck can play a big factor. If winning is your objective, you will be disappointed when you lose. Therefore, as a coach, you must focus on the journey and overcoming obstacles with your players. If you focus on winning, your motivation and confidence can take a hit when you lose. If you focus on the process and doing things the right way, losing motivates you to push yourself. Embracing challenges and enjoying every day of the journey is what I try to value and encourage my players with. Obstacles are part of the process and they should not defeat you; they should push you to persevere. This way of thinking definitely applies to all aspects of my life including my job, my relationships, my hobbies and my goals. 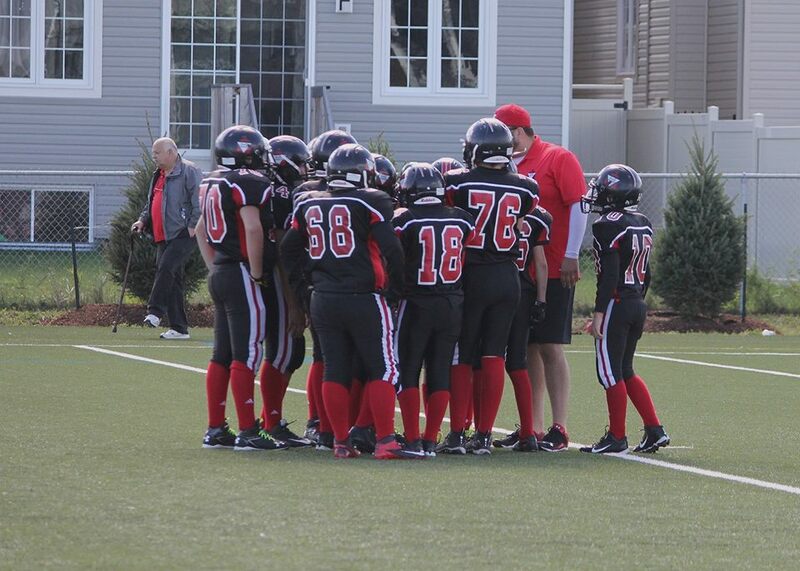 Adam Boxall is the Defensive Coordinator for the Myers Riders Peewee team. Boxall grew up playing NCAFA football with Bel-Air and Myers. 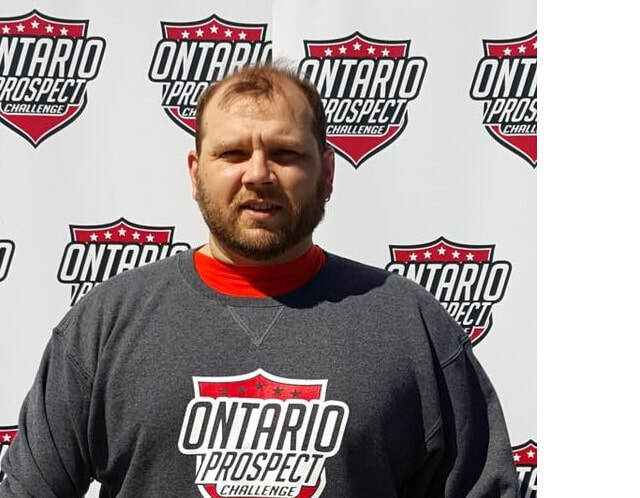 After his NCAFA days were over, Boxall went on to play for the Ottawa Sooners in the QMJFL for five years, winning two championships and being named an All-Star. Boxall also played three seasons with the Montreal Condors/Ottawa Deacon Demons team before having to hang up his cleats due to an injury. Along with football, Boxall also played hockey and baseball and was recruited by the Montreal Expos. ​Boxall started coaching full-time in 2009. “A good friend of mine worked at St. Patrick High School and they were looking for an offensive lineman coach. That was a great year in which we won the high school AA Championship. I stayed at St. Pats for 2 more years before accepting a job coaching with my brother for Myers Riders Tykes and have been with the organization ever since.” Boxall explains. Boxall says that his favourite thing and main love of coaching is driven by the feeling of success. “When I see players master a skill or an individual comes alive in a session when ordinarily they sit back in the shadows and don’t push themselves forward to be heard. Football gives them the confidence to express themselves and I enjoy being part of a team that is united on a field, rooting for each other to do their best and produce a great performance” says Boxall. ​Boxall’s biggest challenge as a coach has been a recent one, “I was blessed with twins and it has been very hard to balance home life and coaching. I have an amazing wife who supports me with coaching and I’m able to coach 2 nights per week. Without her love and support I really do not think I would be coaching this year” explains Boxall. 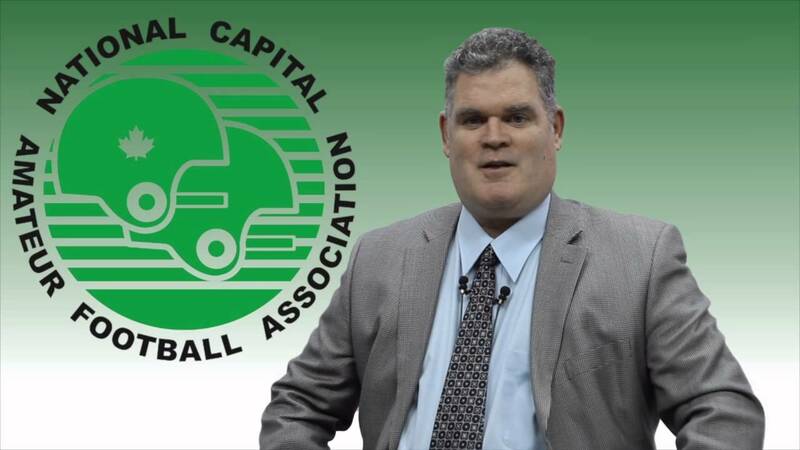 Stephen Dean is the President of the Nepean Eagles as well as the President of the National Capital Amateur Football Association (NCAFA). Dean played baseball and football in Ottawa growing up. Dean finished his tackle football days at St. Pius X and began playing touch football. 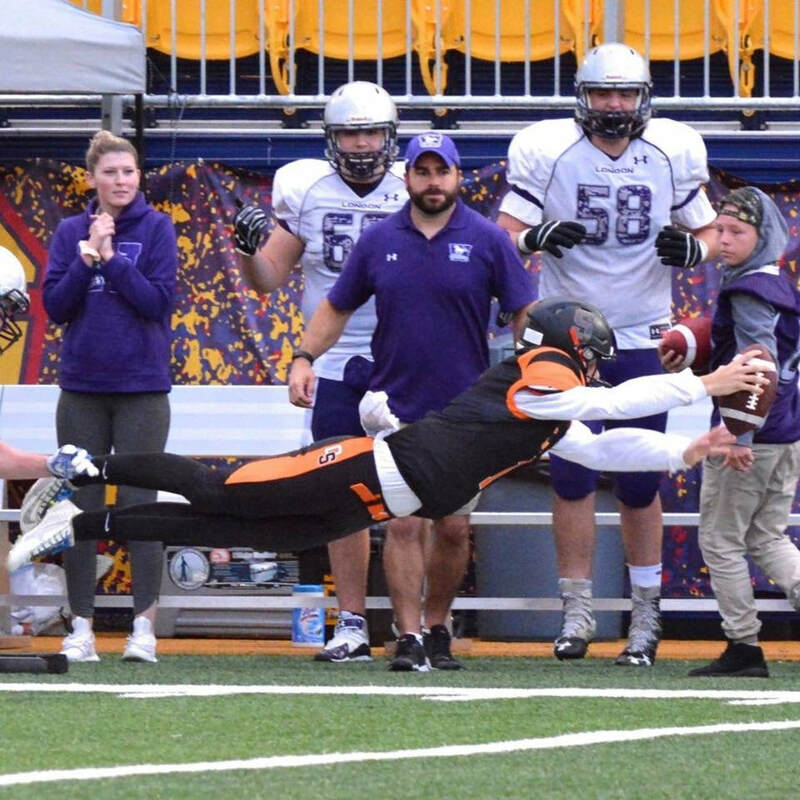 “My enjoyment of the game extended to many years playing and coaching in the Ottawa Nepean Touch Football League (ONTFL), this, ONTFL, is what brought forward the idea to add touch football to NCAFA.” says Dean. 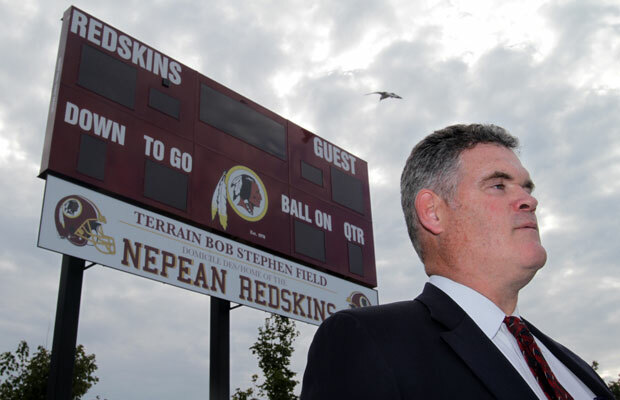 In 2005, Dean became the NCAFA president. “I took on the presidency roles as I felt I could add value to their respective organizations. With the Eagles, it was to consolidate the four tackle levels into a more efficient program, while adding cheerleading, flag football and a girls touch programs. With NCAFA, it was to reshape and grow football, add girls touch, expand to other geographies, as well as stabilize and grow our financial base.” says Dean. “On a final note, it should be clear to all that a strong NCAFA is imperative to ensuring football continues to thrive in the region. We have entered a phase where I see a stronger NCAFA emerging. 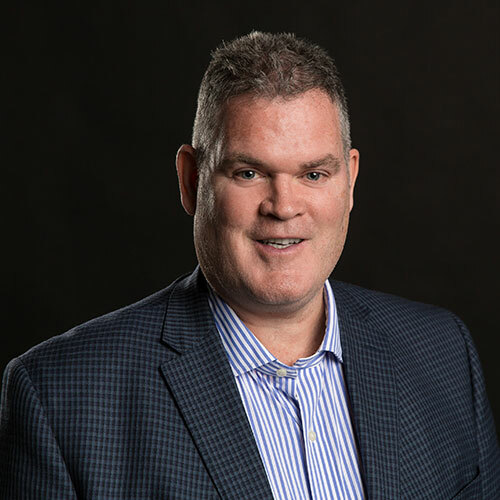 With partnerships like that with the REDBLACKS and the efforts of many committed volunteers, I see a very bright future for the NCAFA and the sport of football.” says Dean. Larry Ring was the Offensive Coordinator for the 2017 OPFL Cumberland Panthers Junior Varsity team this Summer. This was the team that won the Provincial Championship. Growing up, Ring played everything he could; football, hockey, baseball, basketball, volleyball, lacrosse, rugby and track. He won the city championships with his team atSt. Pius X High School. He played AAA and Junior hockey. Ring also played for Team Ontario in Rugby. While attending Bishop’s University, Ring played football and hockey. Ring was with Montreal in the CFL, but he had a back injury that eventually forced him to quit the sport. “I wanted to stay connected to the sport and a year later began as an assistant coach with McGill University. I got hooked right away because it was the closest thing to the feeling of playing and being part of a team. The team started to have success and I really immersed myself into coaching and decided I wanted to do it as a career.” explains Ring. Ring says his favourite thing about coaching is game day. “I love the adrenaline you feel. I really enjoy trying to make kids better and motivating them to reach their true potentials. I also really like preparing for an opponent each week. I am very competitive and like to win and coaching allows me to do that and also teach the kids I coach how to win and what it takes both mentally and physically.” says Ring. Ring says that there are so many rewarding moments as a coach that it is hard to pick just one. “There are moments when I see a kid really improve or tell me I was a big part in shaping his life. I coached university football for 14 seasons so when I reconnect with players I coached it is very gratifying to see how much playing football gave them. 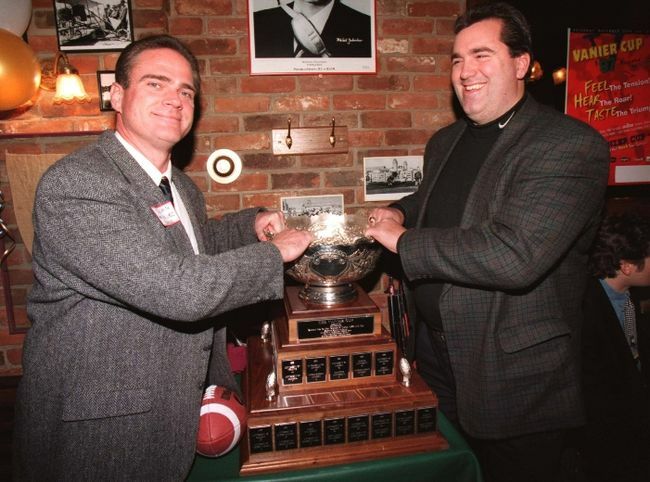 If I was to pinpoint the top 2-3 moments it would have to be winning three consecutive conference championships when I was the Head Coach at the University of Ottawa and winning the Vanier Cup (Canadian University Championship) as the Defensive Coordinator at McGill. 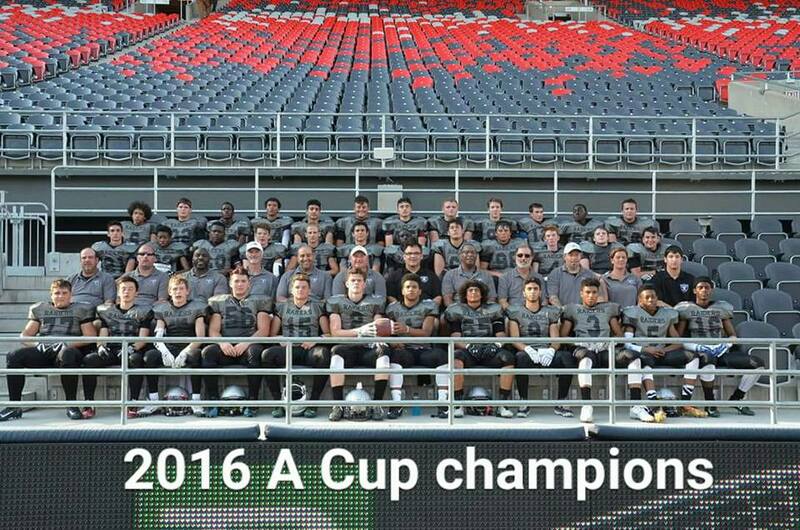 However, I have had many rewarding experiences coaching my kids in community sport after I stepped away from being a university football coach but the last two years I have been coaching with the Cumberland Panthers and we just won the Provincial Championship. This win is so fresh in my mind and was such a team effort by all the players and coaches that it is such a tremendous moment in my life. Nobody thought we could win and we won with 5 seconds to go which made it an incredible moment.” explains Ring. Rob Hamm coaches with the Beckwith Irish Football Club in the spring and he is a volunteer assistant coach with Saint Lawrence University in the fall. Hamm has been coaching for over 36 years. “I knew early on that teaching and coaching were going to be a part of my life. My coaches in High School, Bob Erwin and Ron Ritchie, were the best coaches and mentors a young athlete at the time could have. They both taught the value of giving back to the sport. I also love being around sports and athletes. There is something very gratifying about being able watch athletes in any sport get better every day and every practice.” says Hamm. “But honestly, the best thing I ever did was putting a team of athletes from all over the region together and taking it on the road to Nova Scotia in 2011. We were just a group of NCAFA players with some additions that went to play the NS provincial team. Just putting that team together was success enough, but what that trip did for so many of the players who would never have had that opportunity is the most rewarding part. Many have gone on to higher levels, some never played again. But they all stay connected even to this day, when they see me, they always say, ‘Hey Coach, remember when we went to Nova Scotia and we did…?’.” says Hamm. He says there are so many more amazing moments, too many to name. Rob Hamm is a very experienced coach who wants to help players become successful in all aspects of their life and be a positive influence in their lives. ​Do you know of or are you a coach in the Ottawa area? HESN wants to hear from you, contact us at mia@houseedgemedia.com. 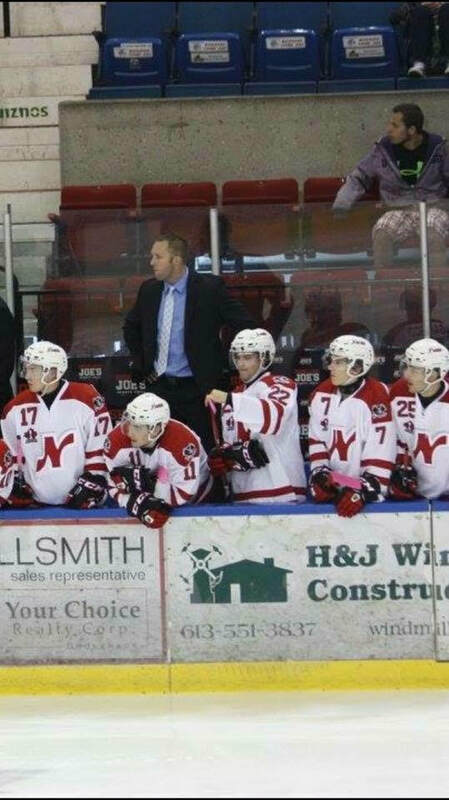 Darcy Findlay is currently coaching with the Nepean Raiders JR A Hockey club in the CCHL. Findlay is heading into his second full season with the Raiders, previously he was the assistant coach for Kanata and Smith Falls. Findlay was also a coach with the Hockey Eastern Ontario 2001 OHL Gold cup team last spring in Kitchener, Ontario showcasing the areas best players to the Hockey Canada Program of Excellence. Growing up in a small town, Findlay participated in many sports, such as baseball, golf, volleyball, basketball and soccer. He had a passion for Hockey which led to his NCAA career. “Playing on the sports teams was just what we did, it helped develop the overall athlete.” says Findlay. ​After graduating NCAA Division 1 in Minnesota, Findlay was thinking of continuing to play Hockey in Germany but he was offered a job teaching high school and hung up his skates. “After one year out of the game I still had that competitive edge and decided to get involved. Fortunately, I was able to jump into the CCHL and haven't turned back since.” says Findlay. Findlay’s most rewarding moment as a coach so far has been seeing his athletes move on to bigger and better things. “It's still very early in my career, however all graduating players have been able to play at that next level of NCAA, CIS or major junior. The biggest thing however I would say is preparing them for the real world and being a good person, and if it involves Hockey even better.” says Findlay. As a physical education teacher, Findlay is able to stay within a teacher/mentor role at all times. “One thing I've realized is there is a huge difference between the regular high school student and the competitive athlete. I've learned the different ways to approach both settings.” says Findlay. 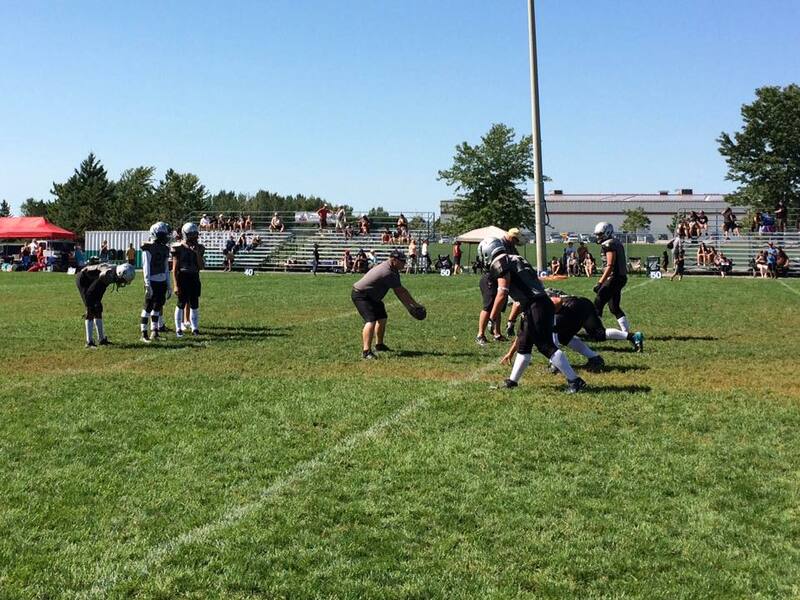 Matt Chartier is a wide receiver’s coach for the JV Cumberland Panthers. 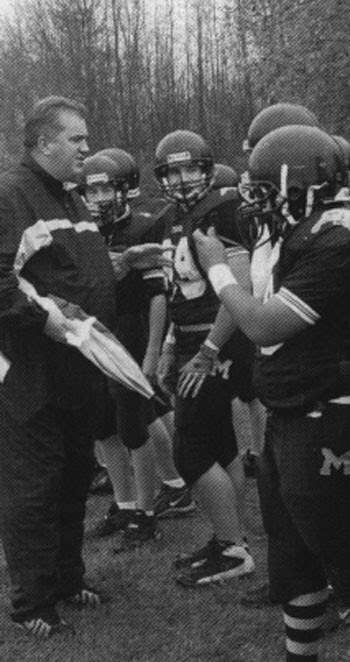 Previously, Chartier coached with the Bel-Air Lions Bantam team, starting as the offensive coordinator in his first year and then as head coach for three years, winning back to back championships in 2014 and 2015. Chartier played a variety of different sports throughout his childhood and high school years, such as soccer, basketball, volleyball, ultimate frisbee, baseball and touch football. Chartier played football from age seven to 19 with the Bel-Air Lions. He also played one season with the Myers Riders JV team as well as two years of high school football at Holy Trinity. Chartier decided to start coaching because of his passion for the game. “Playing the game, I was honoured enough to be coached by some of the best coaches in our city and took valuable information from all of them. Whether it was the X's and O's or passion and dedication each of my coaches left something very important with me year to year. I found once I lost the desire to play it was my turn to develop the young players in our city.” explains Chartier. ​Being a part of the player development is Chartier’s favourite part about coaching. “Not only teaching the game, systems, plays or fundamentals; but watching a player turn into a student of the game. There is nothing that makes me more proud of a player like when they are able to help their peers during learning periods or chalk talk sessions.” says Chartier. ​Chartier’s biggest challenge as a coach was in his first year of coaching. “I was heading into my first season with Bel-Air as an offensive coordinator with aspirations of running an extravagant, next level style of offence. When I arrived and tried to put in this style of system I hadn't thought that half of the roster has never put on pads before. My complex system just was not built for these kids. I recently heard some amazing advice from Mark Nelson, Ottawa RedBlack's Defensive Coordinator, at a Coaching Clinic. To sum up what he said; don't get to caught up in your ways and remember it's about the kids and do everything you can to put them in the best possible situation to succeed. So that is what I did, I had to re-vamp and scale back significantly to put those kids in a situation to succeed. We ended up having a pretty great season, but our inexperience was exposed versus the higher experienced teams.” says Chartier. Do you know of or are you a coach in the Ottawa area? HESN wants to hear from you, contact us at mia@houseedgemedia.com. 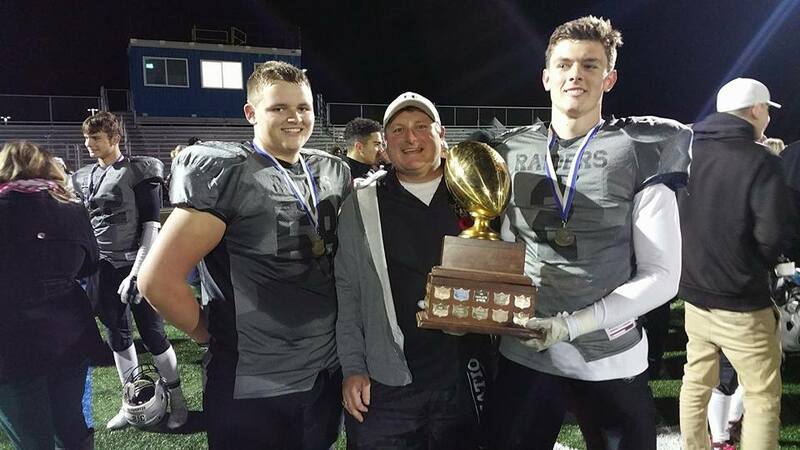 Dennis Vowles has coached with the Gloucester South Raiders Bantam team (2014-2016), St. Francis Xavier High School (2016), Cumberland Panthers JV (2016) and Cumberland Panthers Senior Varsity (2017). He is currently taking a break for the fall and assisting the Raiders on a part-time basis. Vowles decided that he wanted to start coaching after watching his nephews playing. “I came home that night, after a day of watching minor football, and spoke to my very supportive wife and she said, ‘Well research which teams are close to the house.’ Sure enough when I realized I lived in South Gloucester, the Raiders were where I began my hunt. That evening I learned that one of my high school coaches was the head coach. I approached Tristano in 2014 and the rest is history.” explains Vowles. Vowles’ most rewarding moment as a coach was winning the Bantam title last year with the Gloucester South Raiders. “We all worked towards the ultimate goal which is a championship and I think when you achieve that as a coach it's a major highlight.” says Vowles. The biggest challenge that Vowles has faced is balancing his work schedule and personal life around football. “Luckily I have a great wife and extended family that support me and my coaching endeavours.” says Vowles. Mike Schmidt is currently a coach for the Cumberland Panthers. Schmidt played many sports growing up including football. He played for the East Gloucester Bengals, Gloucester Dukes and Junior Riders from ages 10 to 20. After his playing days were over, Schmidt didn’t want to be removed from a sport that taught him so many life lessons, created lifelong friendships and providing lasting memories. “As I continue coaching for all these years, football is still teaching me, providing me with great friendships and fantastic memories.” says Schmidt. ​Schmidt says his favourite thing about coaching is the moment when a player gets it. “For our young players, football is a very hard sport to understand at first. There is always a moment early in the season when you can see them come together as a team. At that point it becomes all about the making them better football players and perfecting their position.” explains Schmidt. Schmidt recently had a very rewarding moment as a coach, winning the 2017 OPFL Championship with the Junior Varsity Panthers team. “The majority of these player were on the 2015 OVFL Bantam Varsity team that fell short of winning the Championship in 2015.” explains Schmidt. Though, the most rewarding moment for Schmidt is being able to share the game with his two sons. “Having both of my sons enjoying the game at such a young age and knowing they will be able to benefit from all football has to offer is something that I am very happy I can share with them for the rest of their lives.” says Schmidt. The HESN blog will deliver amazing features, inspiring interviews and premium content for the athlete looking to achieve their dreams.